Although Asbestos is now banned in the UK, the harmful material remains in tens of thousands of buildings. As such, identifying and managing asbestos containing materials is an essential concern. 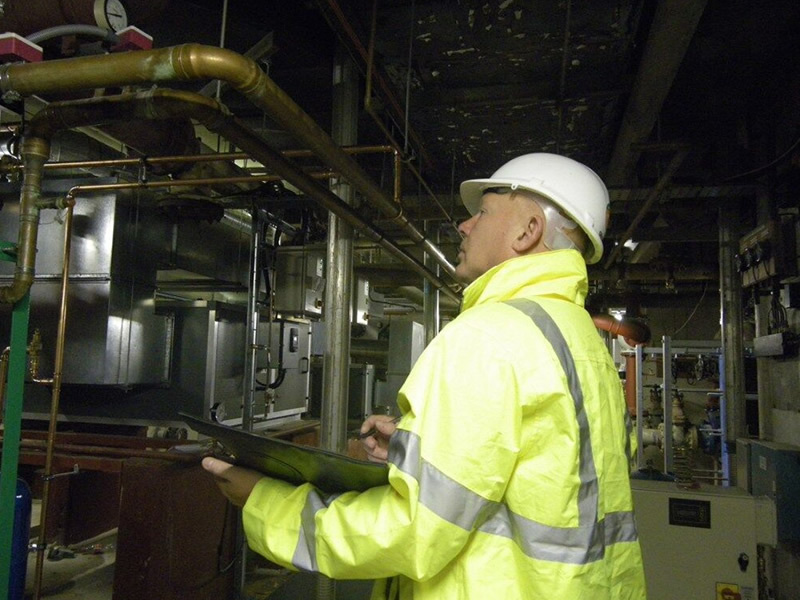 At ACM Contracts we offer a comprehensive range of surveying facilities, including Asbestos management surveys and refurbishment / demolition surveys. Surveys are undertaken in accordance with HSG264 to establish the type, level and condition of asbestos. 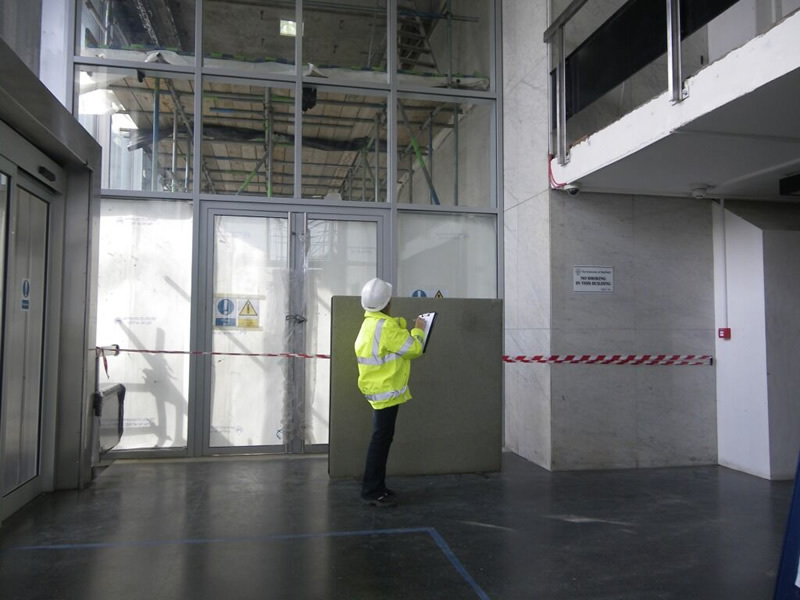 At ACM Contracts every survey is carried out by our highly trained and experienced team of surveyors who hold a minimum qualification of BOHS P402. Samples taken are analysed by approved independent UKAS accredited companies who we have a strong relationship with. We carry out Asbestos sampling, if you are uncertain whether a material may contain asbestos and require assistance we offer an asbestos sampling service. Has with all our service this is for both commercial and domestic customers. The results from the suspected asbestos sample are normally available within 48 hours, a premium service can be offered if required. 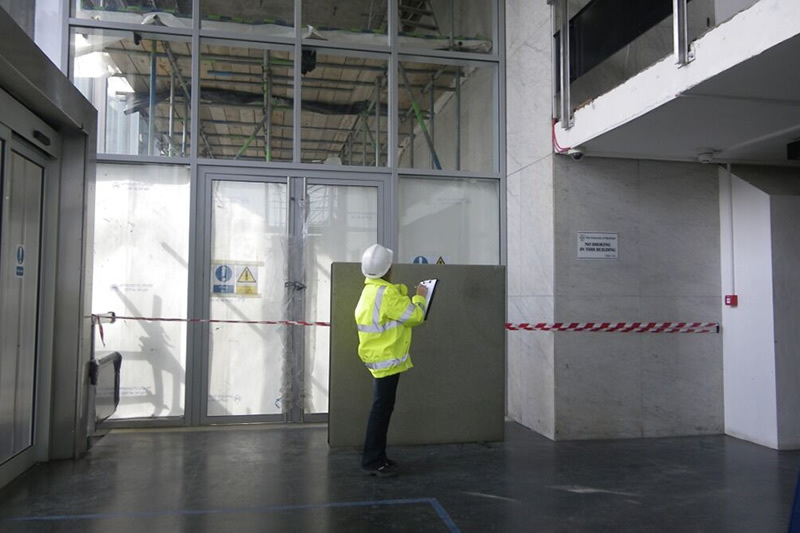 A sampling survey is a visual inspection together with representative samples of potential asbestos containing material being gathered and analysed, with resultant findings being assessed by UKAS accredited laboratory. 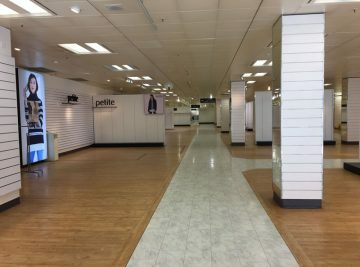 A complete survey is required prior to a building’s demolition. A demolition survey involving extensive sampling, a legal requirement prior to any major refurbishment or demolition. This type of survey is used to locate and describe, as far as reasonably practicable, all Asbestos Containing Materials in the area where the refurbishment work will take place or in the whole building if demolition is planned. We carry out Asbestos Refurbishment/Demolition Surveys in accordance with HSG264 Asbestos: The Survey Guide (2012) and HSG248 Asbestos: The Analysts’ Guide for Sampling, Analysis and Clearance Procedures.